Beyond the Flavor is a passion project made possible by generous members of our vibrant community. Thank you for your continued support! Established in 1993, as a small batch roaster we are dedicated to the craft of roasting coffee, balancing the art and science that can only be gained through years of experience. Nothing is taken for granted as we continually strive to provide the best coffee possible from sourcing to brewing. In May of 2007 we opened a coffee house with the intent to create a relaxed place to share our passion. A place where people of all walks of life could hang out, work, converse and connect with one another over a great cup of coffee. We think Beyond the Flavor captures the essence of what makes Charlottesville a unique community for those who are passionate about food, wine and agriculture. Each profile and the beautiful accompanying photographs provide insight into the passions of those who cultivate, prepare and celebrate the meals that embody a culture of food and fellowship. I have made some of the recipes, sharing them with my friends and family, and stimulating discussions with fellow foodies in the market, restaurants and my kitchen, extending the circle of influence beyond BTF! Virginia and particularly Monticello are the homes to the first vineyards in America brought forward by the visionary spirit of Thomas Jefferson. Some 200 years later, the counties surrounding Monticello were designated the Monticello Viticultural Area(AVA), in recognition of the region’s distinguished and burgeoning wine industry. The Monticello Wine Trail offers more than 25 boutique wineries producing small quantities of high-quality wines meant to be shared with family, friends and visitors. The unique aspects of this place that influence and shape the wine made from it are evident as you explore the Birthplace of American Wine. 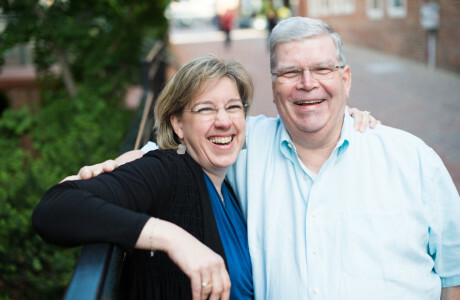 The Happy Cook is owned and operated by husband and wife, Steve Belcher and Monique Moshier. Our approach to retail is community oriented, driven by a passion to connect our customers to our local farms and restaurants. Our devotion to the community makes for a kitchen store that makes each visit an enjoyable and memorable experience. We offer cooking classes staffed by local chefs and experts in their field. Beyond the Flavor represents what makes Charlottesville the place our family loves to call home! The exuberant passion for the ingenious creations of our local farmers, chefs, restaurants and retail establishments is not only engaging but infectious. Keep on rocking BTF! I am Andrew Watson. 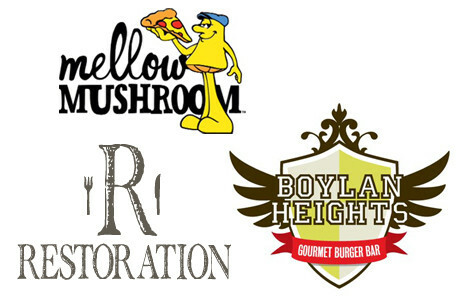 I own Mellow Mushroom and am co-owner of Boylan Heights and Restoration at Old Trail. BTF has opened my eyes to a whole other side of the Charlottesville food scene and has become my number one resource for finding out about unique and exciting local food happenings. I especially enjoy learning about the people behind the scenes at my favorite local establishments and farms. BTF inspires and emboldens me to use local products not only in my restaurants but in my home as well. Sarah and Andrea’s enthusiasm is infectious. I don’t know where or what they are eating next, but I know I want to go there! They have made BTF the place to see and be seen and I know they are just getting started! As a local artist and storyteller, I am inspired by Sarah and Andrea’s passion for the photograph and their celebration of the “real people” behind our local progressive food scene. I support Beyond the Flavor as a resource to connect our ever growing and diverse community. Beyond the Flavor offers a window into the stories we normally wouldn’t have the chance to experience; as well as educating and promoting the progressive local food community! The creative team at Convoy is as passionate about design as Andrea and Sarah are about our local food scene. Working together with them allowed all of us to focus on the things we love: Convoy designed and built theBeyondTheFlavor.com website, and Andrea and Sarah keep it full of their amazing articles, photography, and recipes. We couldn’t be more pleased with the end result, and we’ll be working together to add more as the community grows. 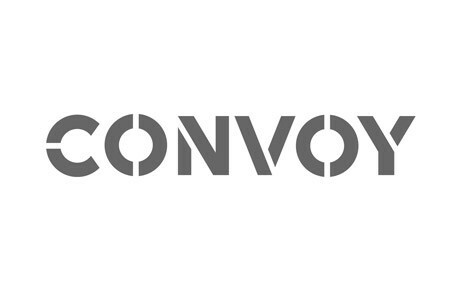 Convoy is a full-service branding studio specializing in graphic design, web design, and WordPress. Visit our website at WeAreConvoy.com for samples of our latest work and to find out what we can do for you. Food creates community. Charlottesville is our commons. 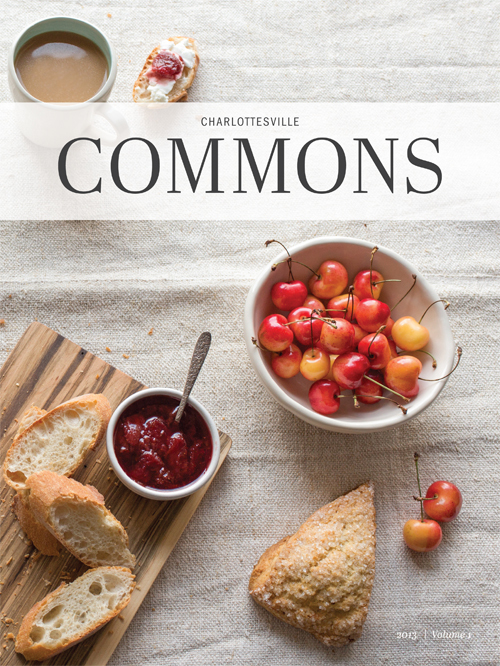 Charlottesville COMMONS 2013 is an 8.5″ x 11″, 152 page, soft-bound book filled with stories, full-color photographs, and 30 recipes from local chefs, farmers, growers, bakers and food enthusiasts. It was created by Andrea Hubbell and Sarah Cramer Shields, photographers and co-creators of Beyond the Flavor, as well as our editor, Jenny Paurys. Add to this seasonal ingredient suggestions, 30 tested recipes from local food professionals and enthusiasts, beautiful hand-drawn maps courtesy of Dani Antol at Rock Paper Scissors, and richly colored images laid out and designed by Matt Thomas at Convoy, and you have a publication that reflects the energetic, collaborative environment of Charlottesville. This first edition of COMMONS has a theme of heritage, tradition, memory, and innovation. The local food community revealed in its pages is one of genuine collaboration and hard work that embodies the idea that a rising tide lifts all ships. We are so excited to share this publication with our friends and neighbors, both in the Charlottesville community and beyond. We are thrilled to announce that the book has also been selected for inclusion in the 2014 Virginia Festival of the Book! If you are interested in selling COMMONS in your retail store, or just want additional information, please drop us a line! We are Sarah and Andrea – lovers of food, photography, & life. We are reaching beyond the flavor to capture the stories behind meals shared at the tables of local chefs, farmers, bakers, and food enthusiasts, because we believe that recipes are deeper than the ingredients used to prepare them. This project has been an independent dream for each of us over the past couple of years. After several lunches, many glasses of wine, long hikes with our dogs and an inspiring trip to New Orleans with our husbands, we took the leap and combined our two visions to create this delicious collaboration. We love working together, and are thrilled to finally share our new project with you. We are so happy that you are here! Sit back and enjoy the stories behind the meals that fill our town. This is just the beginning. Sarah specializes in environmental portraiture. Her focus is documenting the creator behind the meal with honest, accurate portraits. Her passion for food and stories stems from a life filled with exposure to food and travel. She credits her parents for planting these seeds. 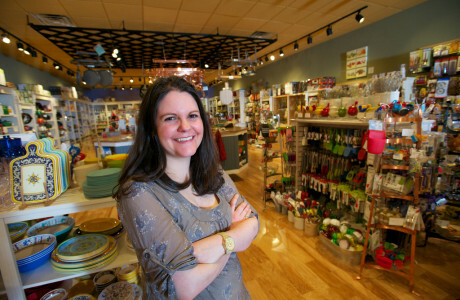 She has been in Charlottesville for the past eleven years, where she spends her days documenting people, creating in the kitchen, working on their old house and living life well with her husband, Matt, and their two dogs Charley and Crosby. Earning dual degrees in Fine Art Photography and Anthropology was a natural extension of her passion for understanding people and making beautiful images. Her studio, Cramer Photo, is located on the downtown Mall above Christian’s Pizza. 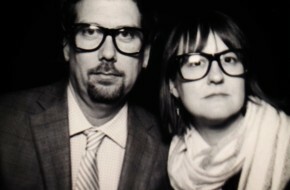 She has been documenting people professionally for the past 7 years and she lives to tell stories with her photographs. Fresh Parmigiano Reggiano, lemon, olive oil, garlic, and fresh tomatoes. Too many to pick! I am so thankful that meal time was a huge part of my upbringing. My parents are wonderful cooks and always allowed me to participate in the kitchen. Are you savory or sweet? Mustard, onions, and honey. Not together. They just tend to be my favorite additions to meals. Wine opener? Just kidding. I love my Microplane zester for my fresh Parmigiano Reggiano and lemons. What is your favorite music to listen to while you’re cooking? Bossa nova. I love to cook with all the windows and doors open, the music blasting and yummy smells coming from my house. I like to pretend I’m in Bora Bora, with a breeze blowing through my entire house on the water with waves crashing in the distance. Oh yeah. Andrea specializes in interior, lifestyle and culinary photography. Her focus is to document the process of preparing the meals for Beyond the Flavor, and to create portraits of the finished dish in the environment in which it is most often enjoyed. With a background and education in architectural design, Andrea has cultivated an appreciation for form, space, composition and color that is present in every image she creates. Her love for photography she credits to her daddy; her passion for food to her momma and step-father, Joe. She believes that sharing food is a way of sharing love. Some of the best moments of Andrea’s life have been spent around a table with her favorite people, eating and listening to their stories. She had a camera in her hand from an early age, but it was the creation of her recipe blog, Bella Eats, that sparked a passion for food photography in 2008 and led to the launch of Andrea Hubbell Photography in 2010. When not behind the camera, in the kitchen, or texting Sarah, Andrea enjoys collaborating with her husband, Brian, on design and house projects and loving on their pups, Hank + Lucy. Lemons! I will add lemon zest to pretty much anything. Other loves: garlic, quality goat cheese, and pork. Goodness…this is tough! I love my momma’s macaroni + cheese. We have a favorite chocolate cake that I make for Brian’s birthday every year. And orange danishes…oh orange danishes. They take me straight back to my childhood. Cake! I love, love, love cake. Also, Cheez-its. I just can’t help myself. I would be lost without my Kitchenaid stand mixer. Friends are coming over for a last minute dinner party, what do you cook? The tomato and goat cheese tart pictured above (if summer…veggies vary by season), an arugula salad with lemon olive oil + fresh Parmigiano Reggiano, and dessert! I love dessert. Go-to quick favorites are a simple almond cake, berry cobbler, and lemon buttermilk cookies. I love pie and I have been especially craving pie during this pregnancy. I can’t get enough of it! I am normally the savory person in our family, Matt being the sweet, but these last few months I’ve had a serious sweet tooth. It was about this time last year when I had the pleasure of meeting the Maupin family for a C-Ville Weekly shoot. When I arrived, the most amazing sweet smells were wafting from the oven; Erin had a brand new baby in arm with two others under foot eager to show me how they bake with Mommy in the kitchen. I’m seriously intimidated by baking (all that exactness freaks me out a little bit) and Erin promised me that this was one of the easiest pies to make and was super delicious. Dean, Erin’s husband, chimed in suggesting it was also perfect for breakfast, sometimes right out of the pie pan. I documented as the kids helped Erin at the counter, their little fingers kneading the crust in the pie pan and eventually dropping in chunks of butter and sprinkling cinnamon on top. Just before they put the pie in the oven, Erin took another milk and sugar pie out of the oven and handed it to me. I couldn’t believe it! She was sending me home with a pie as a thank you and we had just met! What a wonderful surprise. The car smelled like a French bakery on the drive home and it took everything in me not to dig in at stoplights. If only I’d had a fork! I’ve made this pie dozens of times since last spring and it’s always a hit. It’s super simple, it’s comfort and it makes your house smell amazing. I love that it doesn’t have to be perfect; some crusts are better than others and some have more cinnamon and it still comes out tasting delicious. Making this pie always reminds me of the kindness and generosity of the Maupin family. Go make one and eat it whenever. It’s especially good for breakfast! 2012. What can we say to really sum up the last twelve months that have meant the world to us? In January, Sarah and Andrea were on a plane to New Orleans with our husbands for a photography festival and eating extravaganza, dreaming about the creation of a project that would tell the stories behind the meals in our town. We sent an email out to a few friends the week we returned, asking if they’d be interested in participating, and had an overwhelmingly positive response. From Justin Hershey “Im in. Let me know what you need.” to Tomas Rahal “I’d be honored to help.” to Tara Koenig“I love it! What a great idea.“; every single person we reached out to said ‘Yes!’. We were floored. In March we launched Beyond the Flavor with our first three features, Tara, Tomas, and Michael. Since then we’ve been very busy, in the best way possible. We – Andrea, Sarah, and Megan – are so very grateful to each person who has contributed to, read, shared, and supported Beyond the Flavor. This collection of images, our favorites from 2012, give us goosebumps. To look back and see all that this community has given us in the last ten months is overwhelming. We are so excited to continue this project into 2013 and beyond. Thank you, from our homes to yours. It’s no surprise that Thanksgiving, a holiday all about creating traditions and relishing food and drink with loved ones, is Beyond the Flavor’s favorite holiday. And, because it’s often hard for us to put into words just how very thankful we are for the passionate and committed people in our town who nourish our bodies and enrich our lives every single day, we decided to throw a party to help show them. Dave and Kristi Farfara generously opened up their Shenandoah Joe on Preston Avenue on Sunday, November 4th, Stonegate Event Rentalstransformed the space into a festive and twinkly scene, we asked our past contributors to bring a beloved dish and its recipe, and our first annual “Friendsgiving” was born. We held it early enough so that you, our readers who inject this project with so much if its energy, could benefit from these recipes that made up one glorious spread. Of course, there wasn’t just an array of mind-bogglingly good food. There was Starr Hill beer, Blenheim and King Family wine, and a keg of Potter’s Craft Cider–even a handle of Beefeater gin and a mason jar of hot pepper-infused tequila. There were children of all ages, toddling around, bouncing on the couches, dancing to Call Me Maybe, and playing hide-and-seek–all fueled by bites off turkey legs and return trips to the dessert bar. There was a jar for donations, and with the help of Phyllis Hunter (The Spice Diva), we collected $216 in the wake of Hurricane Sandy for Citymeals-on-Wheels who provide meals and companionship to aged, homebound New Yorkers. Most of all though, there was the comradery and merriment that comes with having a mutual respect, appreciation, and awe for the people with which we are connected from the soil to the table. Here’s a peek at all the fun that was had and the recipes that made up our fine feast. It’s impossible not to like Taylor Smack–and it has nothing to do with the fact that he’s the man behind some of our favorite local beers. What you see is what you get with Taylor, the 37-year-old owner and brewmaster at Blue Mountain Brewery–and that just happens to be a fiercely genuine and tremendously funny man who works hard and plays hard, gathering friends and fans all along the way. On a chilly, overcast day, we pass the Brewery’s hop field and pull into the driveway of the small white Cape Cod-style home that Taylor and his wife, Mandi, built five years ago just 100 yards from the business they built the same year. Today, there’s no one directing the flow of traffic at the Brewery as there is on weekends when beer lovers make the pilgrimage to Afton to eat pub food (with a local accent) washed down with creative brews amidst gorgeous surroundings. Inside, a fire’s burning and Taylor’s done the kind of push-to-the-corners tidying that all busy parents master. Though Mandi’s at work next door (she’s the CFO and GM), and Hayden, 4, and Evan, 2, are both at school, there are signs of family life everywhere. Living and working within such a short radius maximizes their time together, but with Taylor and Mandi spending their work week on different segments of the same business, there’s a lot of shop talk after hours. And, as Taylor reminds us as he gestures out of his kitchen window, work is always staring them in the face. Their shared dream to open a brewpub was one that the couple had discussed as early as their second or third date. 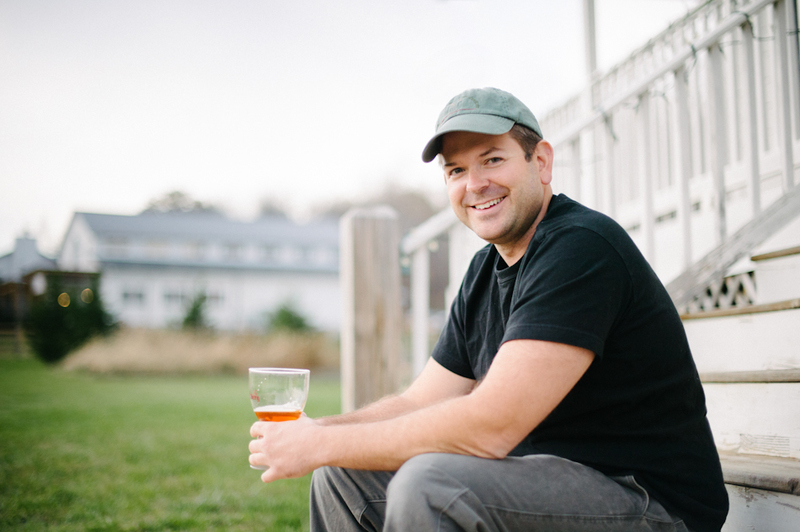 When developers in Albemarle were reluctant to their concept, they set their sights on Afton and by 2007, with Greenberry’s Matt Nucci’s hat in the ring, Taylor left his six-year brewing post at South Street to do his own thing. And that thing has surpassed his wildest dreams. Blue Mountain has gone from having six to 83 employees and is now the second or third biggest employer in Nelson County. They routinely have four events booked each week in the recently expanded space, and Double H Farm had to double their hog population in order to keep up with the demands created by the pub’s beloved sausage and bratwurst pizzas. !” The whole dish, even in its gourmet incarnation, only uses one pan. And since the boys’ tastes are of the typical toddler variety (“It’s got to have that cellophane you pull back and that made in China taste”), Taylor and Mandi keep things simple, minimizing clean up time at every turn. After piquing our palates with Full Nelson, Taylor breaks out the big boys. He gets a kick out of the range of their packaging–from low-brow cans to high-class 750ml bottles enclosed with corks and cages. He pops the cork on a bottle of Local Species, a Belgian-inspired, American-hopped, barrel-aged pale ale that tastes of peaches, apricots, hazelnuts, and honey. Always one to play around with flavors, Taylor makes his burgers different every time. For us, he adds some curry powder to Timbercreek Organicsbeef. In the sacrificial pan, he sautées some bacon, pulling it out once crisp. He adds butter to the bacon fat and browns shallots and shiitakes from amFOG. He encloses carrots dotted with butter inside an aluminum foil “boat” and tosses it in the oven. All part of his no clean-up master plan. Despite the practicality of the meal, it’s clear that Taylor knows his way around a kitchen. He took a wok cooking class when he was in the 4th grade, loved baking cookies with his mom, and has a framed recipe of her poppy seed dressing in the kitchen. There’s no doubt that Taylor’s still a man’s man though. He loves his “cheap Kmart” grill no matter the weather (“I’m the idiot outside grilling in shorts in the wintertime”) and, apparently, he has a deer hanging in one of their beer coolers, left over from a friend’s hunting excursion. By now, we’re feeling manly too, ready for the more robust beers in Taylor’s award-winning line-up. The Long Winter’s Nap, a blonde Triple Bock, has a 10% ABV and does indeed make you want to curl up for the night. But the burgers are cooking, slices of Goodwin Bakery marble rye are toasting in the oven, Taylor is dolloping homemade dill crème fraîche onto the carrots, and we have some eating to do. Out the window, we see Mandi walking home with Evan. The vast expanse of sky over Nelson County’s misty blue mountains is streaked with oranges and ambers and coppers–the same colors in a flight of beautifully made beer. Download the recipe for Bacon Shallot Mushroom Toast Burgers! 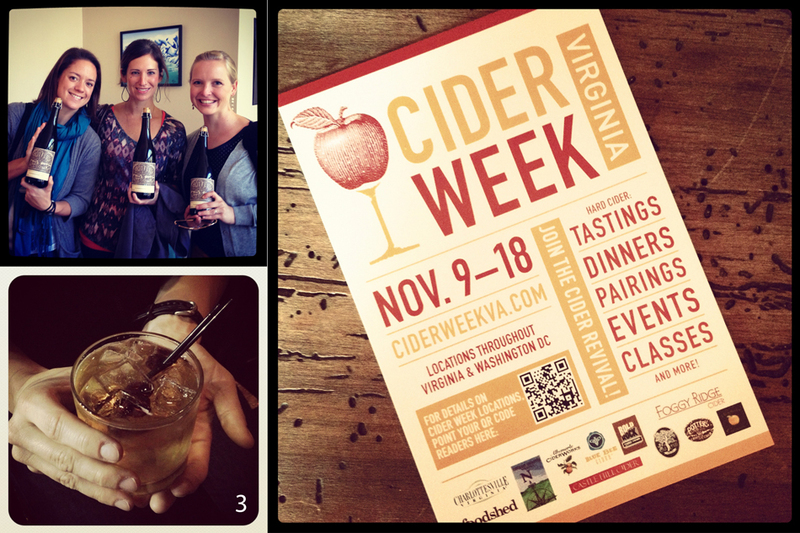 THE APPLE OF OUR EYES – VIRGINIA CIDER WEEK! Have we mentioned how much we love cider lately? It was a fixture on our summer picnic blankets, a component in our September Flavor of the Month, a recent feature that proved to be a most delicious day, and is now a favorite fall dinner date–as complex as wine, as refreshing as beer. The beverage that was chugged by colonists and then vanished after Prohibition is experiencing a nationwide revival (cider sales increased more than 50% in the past year). Our state’s own cider maker count has grown from one to eight in six years. Diane Flynt, the first in Virginia to market her Foggy Ridge Cider in 2006, has led the organization of Virginia’s first Cider Week, which kicks off today at 4:30pm at Feast! where a $15 progressive tasting will showcase cider’s versatility with a full range of our local foods. Now every year, the week before Thanksgiving will be be designated Virginia Cider Week–an apt celebration given our state’s $33 million dollar apple industry and cider’s all-local focus. Visit www.ciderweekva.com for a complete listing of events, tastings, and dinners held in DC, Charlottesville, Richmond, and beyond, and plan your week out right. We’re bound to run into you. Monday night marked our head start when we visited seven restaurants around town who are offering creative cider cocktails for the duration of Cider Week. Each was as different as it was delightful, so try a new one every night this week and vote on your favorite at http://www.facebook.com/VirginiaCiderWeek. An apple cocktail a day…well, you know the rest. We enjoy chatting with our past contributors to learn what they are excited about currently in the Charlottesville food scene. Today, we’re checking in with Harrison Keevil! 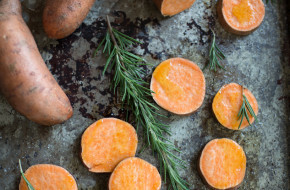 “I’m excited to see, cook and taste all of the fall and winter food. This is the time when chefs get to do what they do best, develop flavor out of tough cuts of meat like short ribs. We get to cook what mother nature has given us! Harrison, we’re excited, too! 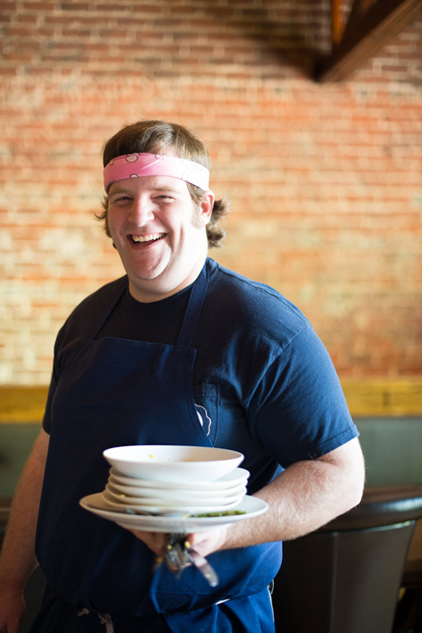 Stay tuned as we work with Harrison to create beautiful imagery to accompany his recipes in 2013. We couldn’t be more thrilled to be involved! Remember when Harrison made us these beautiful scrambled eggs with speck and asparagus in the Spring? So delicious.